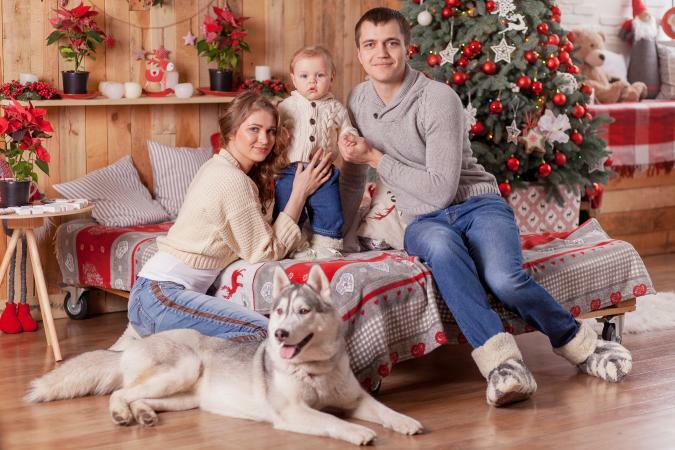 If you're looking to get a great family picture, you probably want to include your pets as well. Getting a great photo with your dog takes a little planning, but you can certainly do it when you have some expert tips. Say cheese - or treat! When selecting a location, you'll have to decide if you want an indoor shot or an outdoor shot. Outdoor areas can look more natural with a dog, but indoors you won't have to worry about weather or the wind. Being outside seems natural for pictures with an animal, and you can get some great action shots with natural lighting. However, you are at the mercy of weather, wind, cloudy days and more. 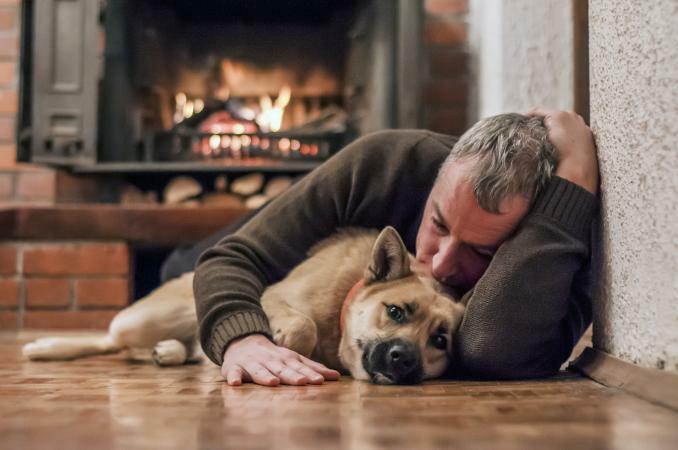 You spend a lot of time your home, and a homey indoor shot can send the perfect message of peace and comfort, or an exciting scene of play and joy. When you're indoors, you don't have to worry about weather or the wind, but it's not as natural of a setting either. 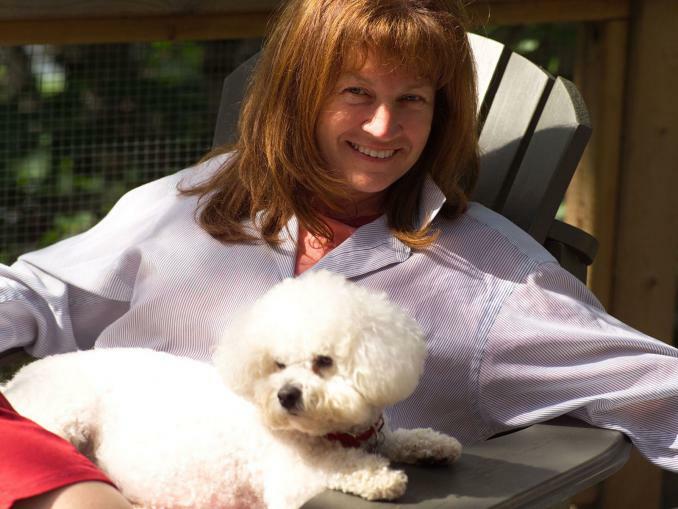 Wendy suggests having a helper to get your dog in the right mood and position. "I have always found having a handy helper is the best way to go. They are great for squeaking the toys, helping control your animal, and retrieving the balls you've been throwing in the air. After an afternoon of photos, have a special treat for your handy helper and your pooch." Whether you're indoors or out, lighting is essential for a great photo. The intensity of light, the direction it comes from, and the contrast and color of light all work together to create incredible pictures. Wendy suggests, "For photo lighting, daylight works best. If you're going to be inside, make sure you set your lighting to avoid shadows. Try not to work with a flash as this can sometimes scare your pet. If you must use a flash, I always suggest desensitizing your pet first. Basically, practice flashing the camera and rewarding them with "good boy" or "good girl" and a treat, so they become used to it." Try moving your body - stand on a chair, sit on the ground, lie on the ground, go behind a pole (make sure you have good control of your animal if you're going to a public area). Use room temperature peanut butter to elicit different expressions from your dog. Place a small amount of peanut butter in your dog's mouth, on the tip of the nose, and the sides of the mouth. These different positions make for all different facial expressions. If the peanut butter is sticky enough, it is also fun to watch their tongues stick to the roof of their mouth, or the tongue reaching to get at the tip of their nose. My favorite is when it is on the side, and they really have to reach the tongue out to get it. Take a favorite toy, ball or anything that makes a squeaky sound (even a set of car keys work great). Squeak it, dangle it, and it throw up in the air for great action and head-turning poses. You want a picture of yourself and your dog, so you may think you have to wrangle a friend to take the picture. That's certainly an option. However, you can also use a timer to take a photo from a tripod. Don't let the tripod dictate framing and composition. Set the angle and scene you want first and then make your tripod work from there. Level it. If your tripod isn't level, you won't get a quality photo even if all the people and dogs behave. Remove the camera strap if you're outdoors because a breeze can cause the camera to shake if the strap is attached. Have help! Try to have an assistant for each dog if possible. That way each one has somewhere to look if they are confused. Use helpers that you don't need in the photo. When positioning, start with the most obedient and patient dog and work your way down. The most wiggly and undisciplined dog should be placed last so that he or she doesn't have to sit long! If you want all the dogs to look in the same direction at once, consider having one assistant behind the camera and holding up a treat - everyone will snap to attention! Whether you use a tripod or have helpers who you don't need in the pictures, these tips will help you get the picture you're looking for. 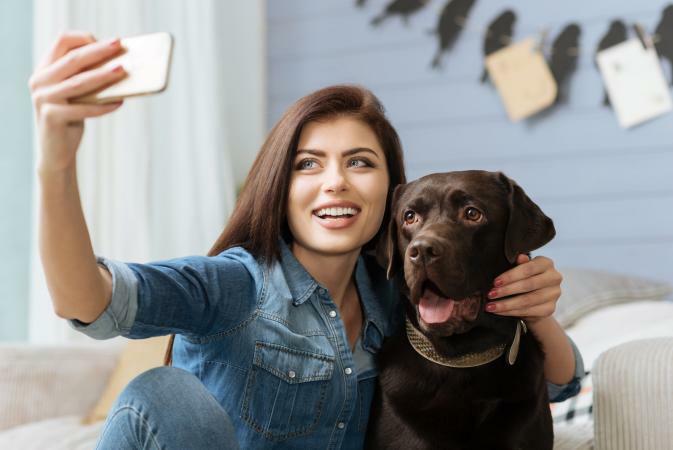 Perfect or not, the real purpose of taking great photos with your pooch is to capture their personality and to have a great memento to remember that moment in your life. You can use the picture in holiday cards, frame them for the wall, or even keep them on your desk at work. In a photo, your best friend can go with you anywhere!